Resolution: 800x600. Brightness: 250 cd/m2. Aspect ratio 4:3. Contrast ratio 400:1. 12 volt, 1.5A AC Adapter. 512MB Internal memory. 6-in1 card reader. MPEG1, MPEG4 & MJPEG fomats. Host/device USB connectivity. MP3 audio format. Auto-rotate, Clock/Calendar. 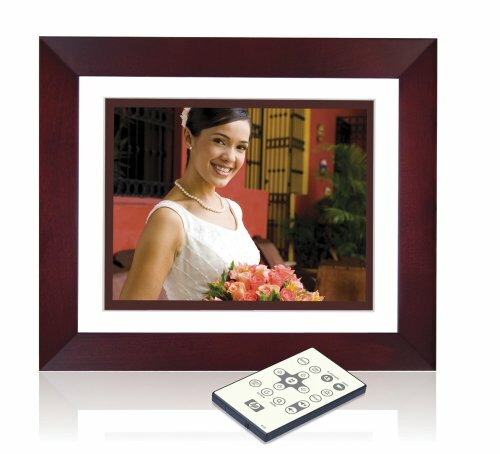 Auto Image Compression & Digital Matting. Wood frame & 2 double mats, USB Cable & remote control. Color: Mahogany.